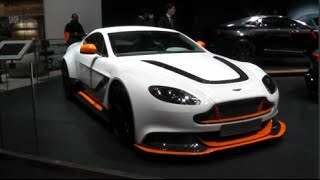 Aston Martin after release of GT3 Special Edition 2015 at the 2015 Geneva Motor Show seemed to be all set to battle against the high spec models. In the year 2015 Aston Martin has come up with performance oriented models featuring its V12 engine. Talking about just the Vantage, first one in the V8 Vantage series failed to mark its name with golden ink but if asked personal opinion I would call it worth a hike. Well to boost up and take a lap ahead entered the V12 Vantage and impeccably it glorified the roads giving a hard time to other models. 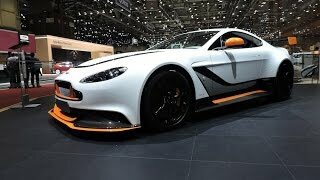 Let us check it review and see what new Aston Martin has to offer with this fresh release. The interior of Aston Martin Vantage GT3 Special Edition isn’t entirely race focused but the minute sneaks like the carbon-fiber front seats and Center Stack getting accompanied by the Steering wheel all wrapped in Alcantara, brings in the weight-saving feature and simultaneously taking the model to racing line. Beyond this Aston Martin didn’t reveal much about the features but being an Aston Martin family member, speculations calculate some features like the red highlights to contrast black and give a sporty look, also to add is the touch sensitive control array, climate control and the carbon-fiber GT3 plaques. The Aston Martin Vantage GT3 Special Edition resides right in between a track racing car and a road car. The street legal racing works are worth appreciation. However the list on top holds the massive rear spoiler, according to us. 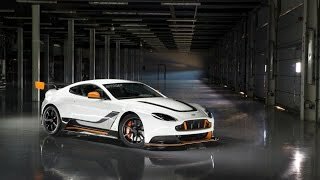 Aston also took care lessening the weight of GT3 Special Edition 2015 and commendably achieved lesser 100 kg by installing carbon-fiber prepared hood, front wings and door casings. Apart from these use of polycarbonate has also been noticed in creating the rear and side quarter windows. Accumulating all the Vantage GT3 Special Edition weighs just 1,535 Kg. 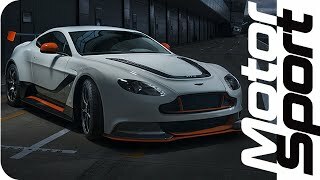 The Aston Martin Vantage GT3 Special Edition 2015 gets it enthralling robust power through a 6.0 liter V12 engine but this time the power generated touched a whooping 591 hp. As about the rest of the details not much has been shared. Just like the rest of the car lovers we too are waiting to see what more this 100 production model GT3 Special Edition 2015 brings with it.